[singlepic=295,300,220,,right] At every Biscuit Mill/Neighbourgoods market I have a display of flowers. The flowers I buy have to be fresh becuase it can get quite hot in summer under the market tent so I usually buy them from a lady outside Cavendish Square. But for a change, I decided to buy them from the ‘Cape Town Flower Sellers’ along Adderley Street. I love buying flowers. I love seeing all the colours and shapes – it takes me, at the least, half an hour to decide what type of flower to buy. My favourite flowers are lily’s and tulips but neither of these have been very good with the extreme heat we have experienced (thankfully this week is cooler). It was such a fantastic experience buying from the ‘Cape Town Flower Sellers’. 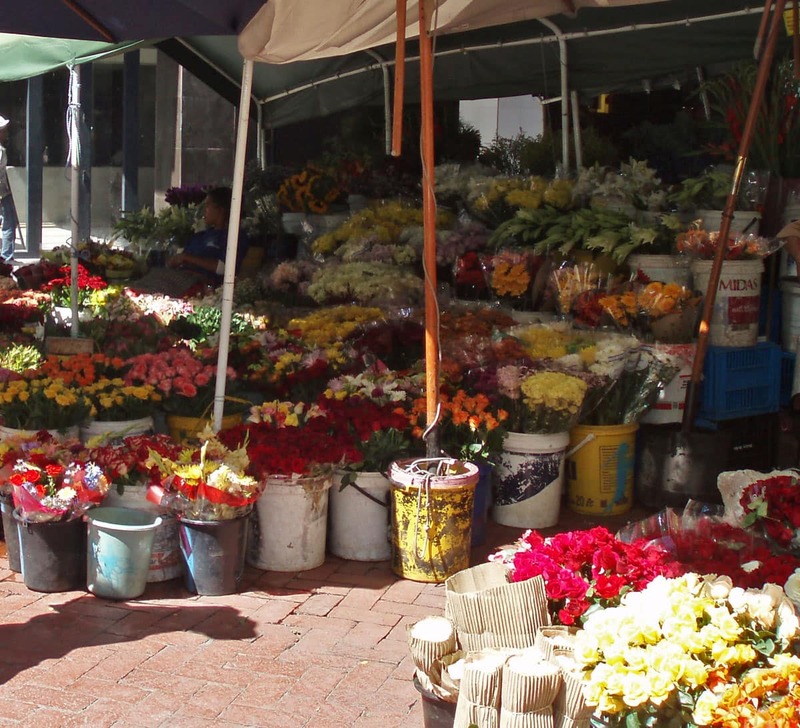 The malay population has been selling flowers there for over 100 years and I doubt much has changed – still bursting with colors of the season and a humor typical to Cape Town Â – they call out “get a blommie for your tjommie” (a flower for your friend). You cant help laughing and as a result you leave with a huge grin on your face and a bunch of flowers in your arms. It couldn’t be a better day after that. Note: I am at the Nieghbourgoods Market in the Design Tent this Saturday from 9am – 2pm. If you are in the area, come visit me. 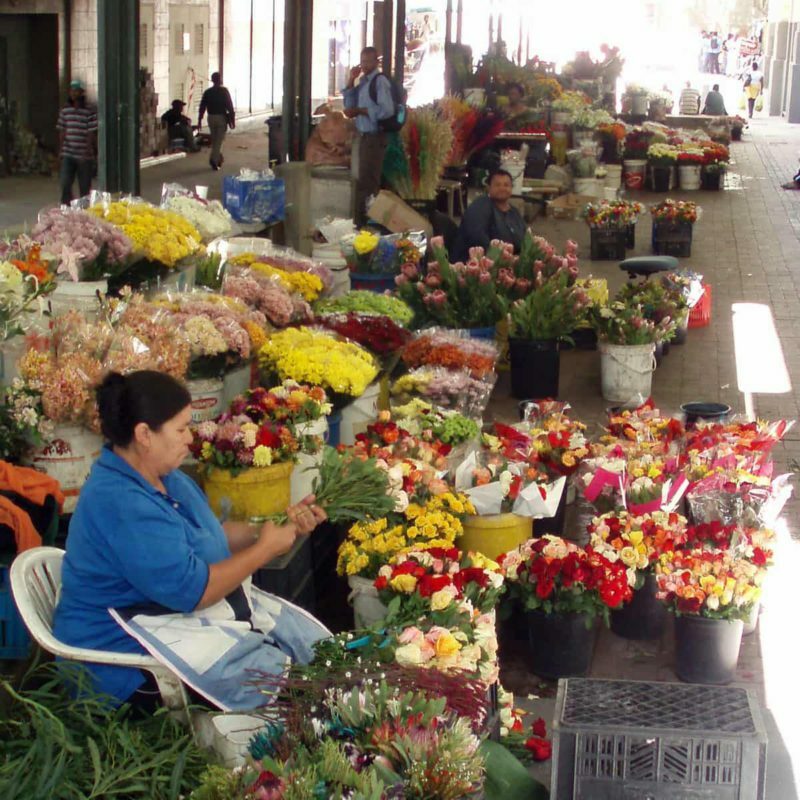 This entry was posted in Blog and tagged Adderly Street, buying flowers, cape malay, Cape Town, Cape Town Flower Sellers, cape town humour, flowers, street. Wonderful pictures of the flowers market.I love flowers too because I work in a big garden center. Good luck for your market on saturday,Wendren!I wish I could visit there too!Have a nice day! I stumbled upon your blog quite by accident but I am in love with your bird pouches. They are just wonderful AND I am quite jealous of your location. Of all the places in the world that I long to visit, Africa is FIRST. So nice to meet you. The photo,s of the flower selllers are beautiful. I love the flowers, they are so beautiful! and so are the flower sellers. They have great personalities that go along with their market. I know this, for I know them personally. With great pleasure!